The 2019 Rio Grande Infrared Sauna is our space efficient corner model. Large seating area with plenty of room for 3 family members or you can stretch out and relax. Loaded with the following standard features, the Rio Grande may be the perfect fit for your home. 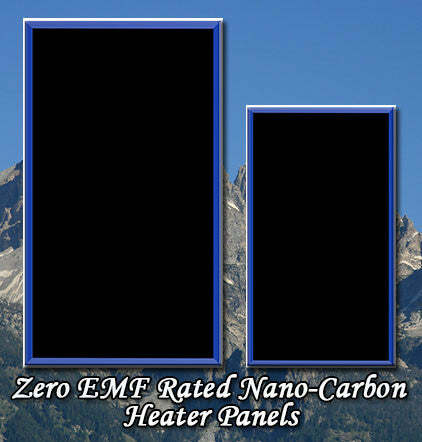 ZERO Rated EMF Nano-Carbon™ Far Infrared Heater panels. The Safest Infrared Sauna on the market equipped with the latest technology. 1. 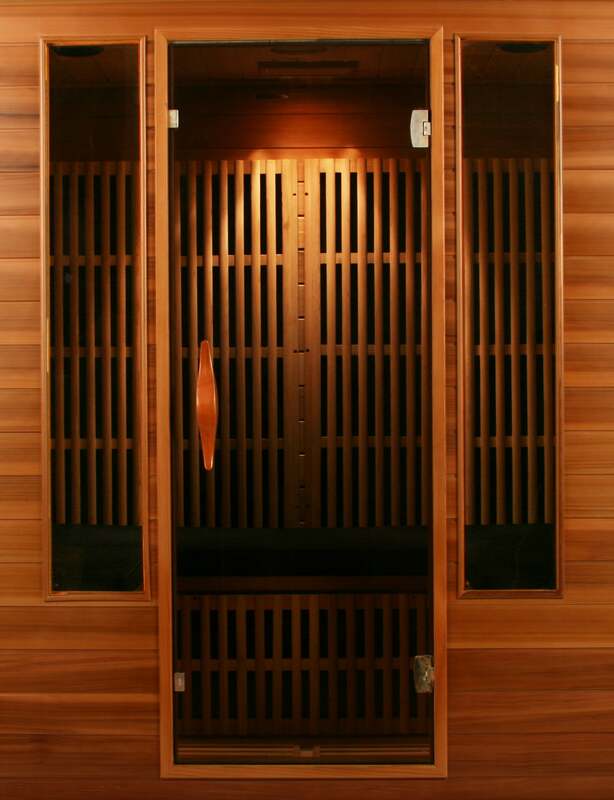 Rocky Mountain Saunas provides the Best Far Infrared Sauna Unlimited Lifetime Warranty on wood components against defective material and/or workmanship of cabinetry. Since the wood used in our infrared saunas has been kiln dried, a certain amount of expansion and contraction occurs in the wood within a sauna environment. This may result in minor bowing or cracks, which is considered normal. 2. Rocky Mountain Saunas provides an Unlimited Lifetime Warranty on ALL Nano-Carbon™ Heater Panels. We provide an Unlimited Lifetime Warranty on ALL Electrical Components. i.e. 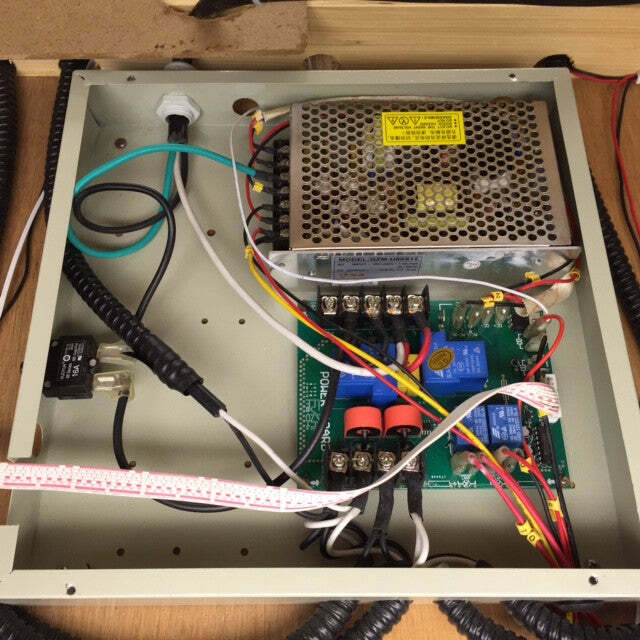 : Control Panels, Thermostat sending unit, CPU, Terminal Blocks and relays, 12v system, etc. Most customer service and warranty issues are easily resolved by phone with our Technical Support Department. Our products are component modular, so component replacement is simple. In the unlikely event that an on-site service technician is required, there will be No charge to the owner for parts or labor. Rocky Mountain Saunas will determine if an on-site technician is required. 3. The standard FM CD Player is covered by a One Year Replacement Warranty through Rocky Mountain Saunas. Unauthorized installation or removal of stereo may void warranty. 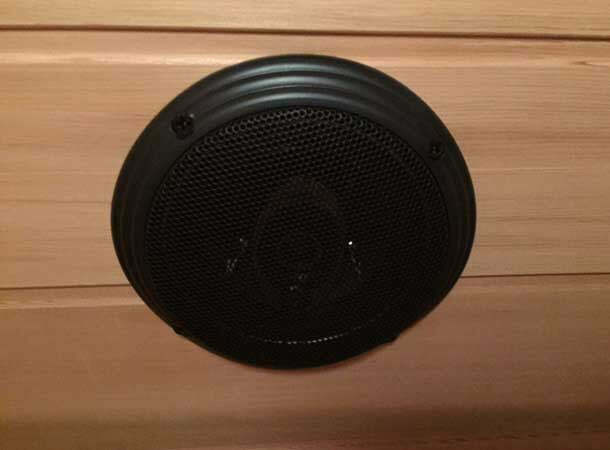 Rocky Mountain Saunas must be notified prior to install or removal of stereo for specific instructions. 4. The Optional Custom One-Way Privacy Wrap has a One Year Warranty for both indoor and outdoor applications. All sales are final on all Custom One-Way Privacy Wraps, nonrefundable. 5. All sales of custom made Seat Cushions and Sauna Covers, Pioneer Upgrade Package Installations, and Custom One-Way Privacy Wraps are non-refundable. 6. Tempered Glass Door is under warranty through the shipping process. Once the sauna kit has arrived at its final destination and the door is intact, any cracking, breakage or damage of the glass door is the responsibility of the client to repair or replace. 7. 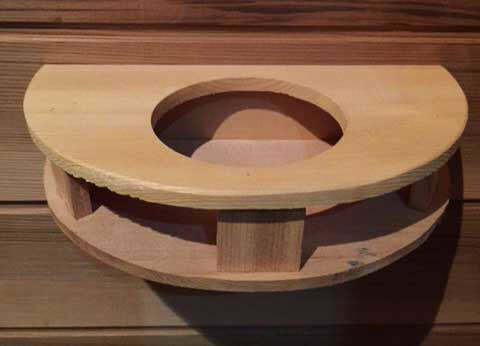 Sauna mistreatment, misuse or neglect or high traffic "wear and tear" (ie: broken cup holders, door handles, wood slats, etc.) is not considered a warranty issue. 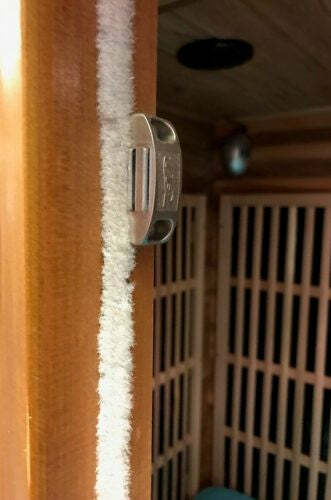 Rocky Mountain Saunas will decide whether the warranty claim is valid or considered a non-warrantied item. 8. The Unlimited Lifetime Warranty comes standard with all Rocky Mountain Saunas to the original purchaser. Warranty is not transferable between parties. 9. Proof of original purchase must be provided by client. Warranty Labor: Rocky Mountain Saunas will provide all replacement parts and all phone support for replacement of parts to the original owner and the warranty is nontransferable. The Unlimited Lifetime Warranty includes in-depth customer service provided by the Rocky Mountain Saunas Technical Support Team via phone. When deemed necessary by Rocky Mountain Saunas, other licensed professionals may be contracted to resolve the customer service warranty. Commercial Application Warranty: All Rocky Mountain Saunas used in a commercial application will have a 5 year warranty from the original date of purchase. All warranty qualifications and disclaimers apply over the 5 year warranty term. AFTER THE INITIAL PRESET OPERATION SEQUENCE HAS BEEN PERFORMED, DO NOT SET THE SAUNA TEMPERATURE HIGHER THAN 135°F. 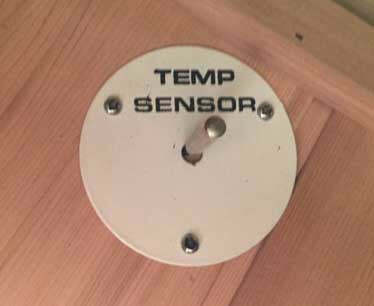 OPERATING THE SAUNA AT 140°F OR HIGHER WILL VOID YOUR WARRANTY. We use grade A lumber in our all sauna models. Our saunas are shipped around the globe, and can experience slight blemishes, scratches or scuffs in transit. All structures using wood are susceptible to minor dents, scratches and scuffing which are not covered by warranty. This is normal and will not affect the integrity, operation or Unlimited Lifetime Warranty of your sauna. Wood is a living material that continues to respond to climate conditions, even after being manufactured into a sauna. Prior to shipping, the wood is inspected for consistency, color and quality. Variations in the color or grain, and irregularities such as fine cracks are part of the natural beauty of the wood and in no way should be considered defects. During normal operation, wood may crack slightly due to the changes in humidity level of the wood. This will not affect the structural integrity of the sauna. In most cases, minor wood blemishes on the exterior of the sauna may be treated by using a small amount of furniture polish, tung oil or other furniture treatment products. Please avoid any treatment containing Benzene or a high concentration of alcohol. Any interior blemishes, scratches, scuffs or chips can be either left alone, sanded or combination of gluing plus sanding. Any compensation for small aesthetic repairs or minor cosmetic damage will be determined solely by Rocky Mountain Saunas Inc. In the rare case damage should happen during the shipping process, it is required that a phone call is made to Rocky Mountain Saunas prior to the delivery driver leaving the delivery site. It is also required that pictures of the damage be sent within 24 hours of receipt of the sauna to customerservice@rockymountainsaunas.com. Failure to comply with this process may disqualify any damage from being covered by warranty. Outdoor Use Disclaimer: Saunas used in outside locations require a cedar wood cabin and must have a weather resistant cover purchased from Rocky Mountain Saunas to maintain the Unlimited Lifetime Warranty. Covers and thermal liners have a one year warranty from the manufacturer. Failure to utilize the .004 plastic sheet supplied as additional water protection for your sauna will void your warranty. The fabric used for the roof of the waterproof cover is resistant to water penetration; however it is sewn to the acrylic canvas sides. It is required to place the plastic sheet included directly over the sauna roof prior to installing the weather resistant cover and placing an object on the sauna roof to give the fabric elevation for water run off as further protection. Like any wood exposed to the elements, it is required to treat the exterior wood of the sauna to keep it from deteriorating. The Unlimited Lifetime Warranty is deemed void if the sauna has been misused, altered or left exposed to sun, rain, snow, wind or hail. 1. Rocky Mountain Saunas and any of its subsidiaries and/or associates shall not be held responsible for any misuse of the sauna by the client. We shall not be held liable for any damage and/or injury caused by client misuse of product. 2. Rocky Mountain Saunas and any of its subsidiaries and/or associates do not provide medical guidance or diagnosis. It is always recommended that you contact your physician for advice regarding your personal health. 1. Buyer may cancel and return the sauna, less non-refundable accessories (seat cushions, outdoor cover, pioneer upgrade and installation labor, and custom one-way privacy wraps) to Seller, subject to the terms and conditions of this policy, within 30 days of proof of purchase date. Buyer shall assume all risk of loss associated with the return as well as shipping, handling, restocking and other fees, costs and expenses as described in this policy. Sauna must be returned in the same condition it was originally received in. c) in the Seller's discretion, has found the goods to be free of damage. 3. All returned goods must be in their original packaging, along with the shipping pallet. Seller may refuse to refund all or any portion of any payment, or cancel payment due and owing if the Buyer fails to fully comply with or violates the terms and conditions of this policy. Cancellation/Return Disclaimer: All sales of custom made saunas, both residential and commercial models, are non-refundable. b) handling and restocking fee in the amount of $395.00 USD for each residential sauna and 15% restocking fee for each commercial sauna. In addition to manufacturing a high quality far infrared sauna, we are proud to give our clients an Unlimited Lifetime Warranty. If you should have any questions, don't hesitate to call us at 1-888-358-1270 ext. 2. Rocky Mountain Saunas is committed to making safety our #1 priority. Internationally recognized safety certifications assure you that all our saunas have attained a high level of quality construction, safety and performance standards. Below is a list of our current Safety Certifications from International Testing Laboratories authorized to approve infrared sauna safety standards in North America, Canada and the European Union. Rocky Mountain Saunas’ manufacturing facility has implemented a quality management system in order to maintain the highest standards in product development and quality assurance and is proud to have earned the prestigious ISO 9001 Certification. ISO International Standards ensure that products and services are safe, reliable and of good quality. ISO (International Organization for Standardization) is the world’s largest developer of voluntary International Standards. International Standards give state of the art specifications for products, services and good practice, helping to make industry more efficient and effective. Developed through global consensus, they help to break down barriers to international trade. Founded in 1947, and since then have published more than 19,500 International Standards covering almost all aspects of technology, manufacturing and business. From food safety to computers, and agriculture to healthcare, ISO International Standards impact all our lives. The ISO story began in 1946 when delegates from 25 countries met at the Institute of Civil Engineers in London and decided to create a new international organization ‘to facilitate the international coordination and unification of industrial standards’. In February 1947 the new organization, ISO, officially began operations. Today ISO includes members from 163 countries and 3,368 technical bodies to take care of standard development. More than 150 people work full time for ISO’s Central Secretariat in Geneva, Switzerland. More about the history of ISO. Because ‘International Organization for Standardization’ would have different acronyms in different languages (IOS in English, OIN in French for Organisation internationale de normalisation), the founders decided to give it the short form ISO. ISO is derived from the Greek isos, meaning equal. Whatever the country, whatever the language, the short form of the name is always ISO. Electrical Testing Laboratories (ETL) was founded in 1896 by Thomas Edison, and is one of the oldest product safety testing laboratories in the world. Certification by ETL and ETL-C assures you that all Rocky Mountain Sauna models have been tested to meet both US and Canadian safety and performance standards. The CE Mark is a requirement for products sold to the European Market. The CE Mark identifies a product as complying with the health and safety requirements spelled out in European legislation and is mandatory for equipment operating in the European Union (EU). The RoHS Directive stands for “the restriction of the use of certain hazardous substances in electrical and electronic equipment”. This Directive bans the placing on the EU market of new electrical and electronic equipment containing more than agreed levels of lead, cadmium, mercury, hexavalent chromium, polybrominated biphenyl (PBB) and polybrominated diphenyl ether (PBDE) flame retardants. The Safest Infrared Sauna on the market equipped with the latest technology. More Standard Features than any other brand ! The Rio Grande Home Infrared Sauna is built to fit comfortably into any corner in the interior of your home, spa, or wellness center. This 3-person sauna boasts a large interior seating area, with space efficient exterior dimensions that will seem tailor fitted to your desired location. You can even customize your choice of woods (Hemlock or Cedar) in the Rio Grande sauna to perfectly compliment your decor. In addition to providing a wonderfully efficient and effective path to optimal wellness, your infrared sauna will entertain you with our standard feature, Bluetooth Control Panel with FM Stereo and USB Port. Featured Rio Grande Sauna shown is in Standard Hemlock. Dimensions: Width: 85" Depth: 60" Height: 75"
Circuit: Dedicated 120 volt/20 amp. Required Electrical Outlet: NEMA 5-20R. More Standard Features than Any Other Brand! Tested to produce the most infrared energy within the desired spectrum for maximum absorption by your body. Large, thick Carbon Panels blanket the walls, front bench and floor areas giving you more surface area exposure than any other manufacturer. Which means MORE RESULTS in LESS TIME!! Air temperature inside the infrared sauna is 20-70 degrees Fahrenheit lower than conventional saunas making it a more comfortable environment and easier to breathe. BUT, you will sweat twice as much due to the radiant heat produced by far infrared. Our Zero EMF Rated Nano-Carbon™ Heater Panels are the safest, most efficient and cost effective method of detoxifying your whole body. Thickest Walls in the Sauna Industry. 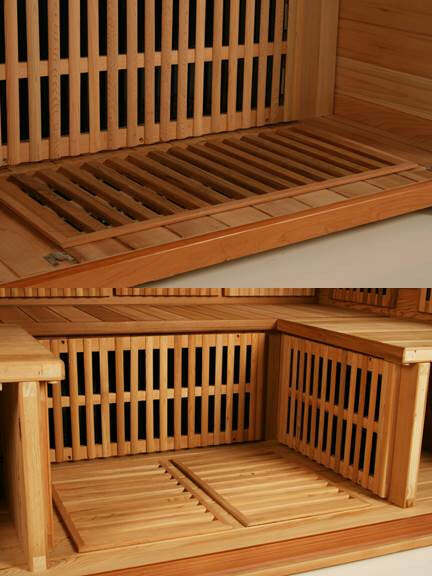 All our Sauna Woods are constructed using Grade One/Bay Clear Heartwood. Herbally cured, slow dried lumber. Non-Toxic/Non-Outgassing. 8mm thick walls are finely sanded to a smooth luster finish. Handcrafted tongue and groove, double wall construction creates the thickest walls of any manufacturer. Vertical Grain for added strength. Built to last a lifetime. Our ergonomic vertical backrests allow you to lean back on the wall panels in total comfort without becoming too hot during infrared sauna therapy. You still receive 100% of the infrared heat being produced. Portable backrests are unstable and cumbersome. Ceramic heaters have hot spots and make it difficult to lean back and relax in the same position for a prolonged period. Horizontal back slats gouge your ribs and spine. EMF Protective Shielding: All 110v and 220v Wiring are triple shielded for maximum safety protection. Find yourself wrapped in comfort with our 360 degree Nano-Carbon™ Heater Panel design. All saunas come equipped with a large floor heater panel that sits relatively flush with the floor as well as a bench seat panel to heat lower legs. Rounding out the sauna are Nano-Carbon™ heater panels on ALL walls, including the front wall panels, allowing you a full sauna experience. Heavy duty reinforced floor panels can support over 300 lbs. Floor panel heat feels terrific on your tired achy feet while promoting toxin expulsion. Bench front infrared panel makes certain that your knees, calves and ankles receive direct exposure to the benefits of far infrared. Tek-Sun-Warmwall™ Exclusive Rocky Mountain Saunas Technology allows sauna to better retain heat and provides faster warm up time. Bluetooth FM Tuner is now standard on all models! Initiate and manage your sauna sessions from either outside or inside the sauna. 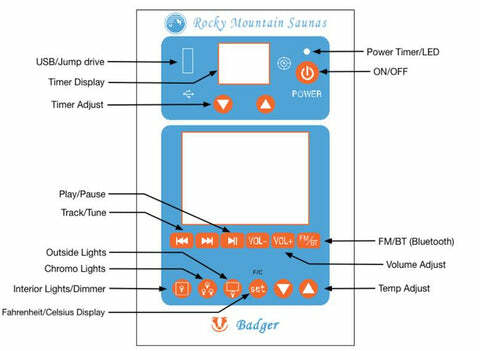 Also included on all models is a 30 Hour Programmable Timer. You can program your sauna to turn on at a designated time up to 30 hours in the future. Convenient time saving feature for your regularly scheduled sauna sessions. 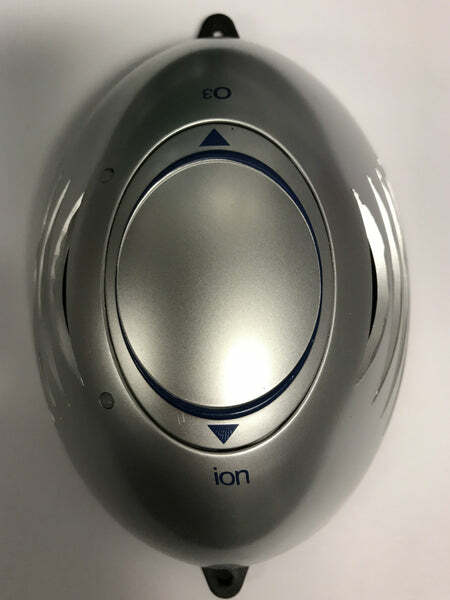 Oxygen Ionizer/Ozone Generator: Ionizer cleans sauna cabin air. Ozone Generator destroys odor causing bacteria and sanitizes sauna. 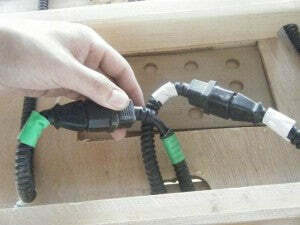 Color Coded Wiring on all 120V connections for quick, easy assembly. 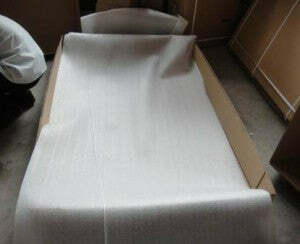 Improved packing materials that ensure your new sauna arrives in the best condition. Color Coded Power Box wiring to improve service capability. Luxury Light Package: Recessed LED ceiling lights with inside/outside controls highlight our premium Canadian wood quality and provide a relaxed setting. 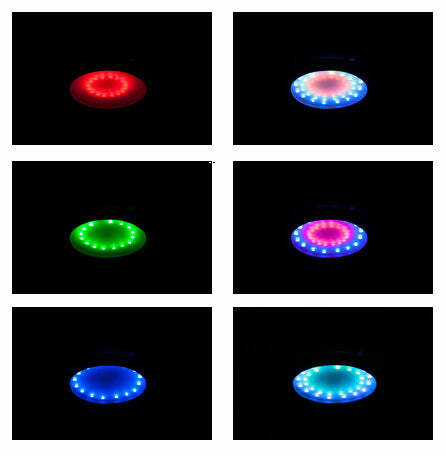 3 Way Dimmable Interior Reading Lights: Two reading lights with three separate light settings will maintain a soft comfortable ambiance. Cup Holders: Two drink stands allow you to enjoy your favorite beverage during your sauna session. 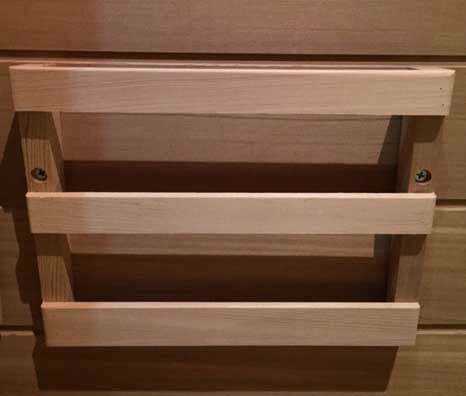 Magazine and Towel Racks: An absolute “must have” in a properly equipped infrared sauna package. 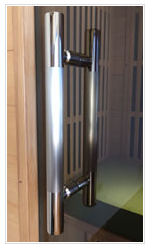 Magnetic Door Latch: Strong, tight fit magnetic latch for easy access to your infrared sauna. Felt Strip Lining on inside of door jamb provides tight seal for glass door closure. 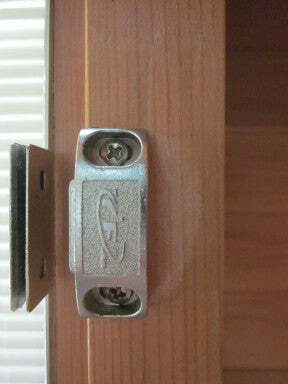 Commercial Grade Heavy Duty Stainless Steel Hinges: For a lifetime of durable service. EZ-Lock Assembly System: Makes assembly a breeze with the Smart-Lock system for quality fit and finish. Adjustable Ceiling Vent: A quick way to allow fresh cool air into your environment and lower cabin air temperature just a bit. Contents are clearly printed on the exterior of each sauna carton. Heavy Duty bimetal air temperature sensor. All Rocky Mountain Saunas have been rigidly tested and certified to meet the highest standards of electrical safety and workmanship, and carry the approval seal of four separate independent testing laboratories. All our Sauna Woods are Grade One/ Bay Clear Heartwood. Herbally cured, slow dried lumber. Non-Toxic/ Non-Outgassing. The Thickest Walls in the Sauna Industry. (8mm) Hand Sanded to a Smooth Luster Finish. Double Wall Construction. Tongue & Groove. Vertical Grain for Added Strength. Built to Last A Lifetime. STANDARD: Pacific Coast Hemlock. 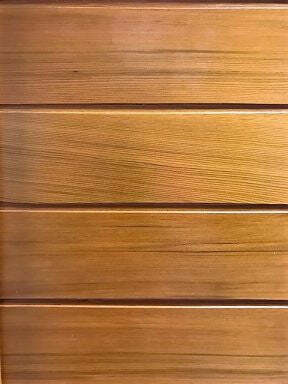 A Durable, Blonde Colored, Straight Grained Wood that compliments a light/medium oak decor. OPTIONAL: Western Red Cedar. Medium Rouge base color with Cherry grain highlights. A Favorite of Sauna Owners for Years. Recommended for Outdoor locations or on a Back Porch/ Patio. Mild cedar aroma interior. 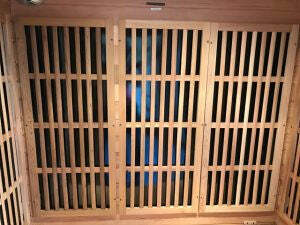 Now you can personalize your new Rocky Mountain Sauna with one of our images or Your Own Great Vacation Pictures! ALL Privacy Wraps are applied to your new sauna before it ships so it arrives to you with your custom image ready to enjoy! 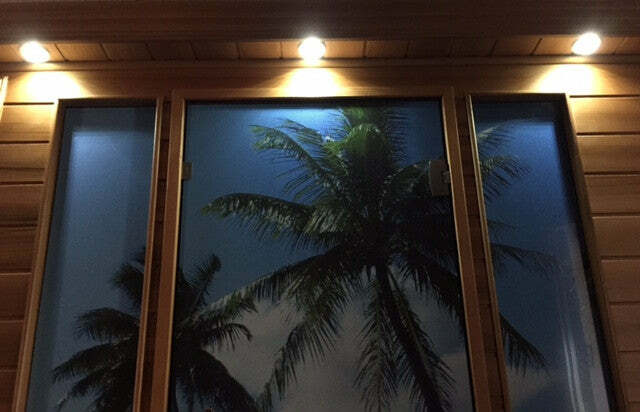 To See more examples of Custom Privacy Door Wraps & our photo selection CLICK HERE. Select from any of our fantastic photos or send us one of your photos and we can tailor-make your photo onto your Privacy Door Wrap. SUNBRELLA™ COVER: Custom Made SUNBRELLA™ Canvas Covers. Constructed of Rugged, Weather Proof, Marine Grade Canvas with Large, Heavy Duty Zipper. Roll Up Front Panel has 3 Sturdy Tie Straps & Power Cord Slot. 1 Year Warranty. Your Sauna Stays Safe and Dry in the Worst Weather. Available in: Mojave Sand, Black and Sherwood Green. Additional Colors and Pricing Available upon request. Note: Thermal cover must be protected by our standard, weather-proof, Sunbrella cover for outdoor use. Disclaimer: Failure to utilize the .004 plastic sheet supplied as additional water protection for your sauna will void your warranty. The fabric used for the roof of the waterproof cover is resistant to water penetration, however it is sewn to the acrylic canvas sides. It is required to place the plastic sheet included directly over the sauna roof prior to installing the cover and an object must be placed on the sauna roof to give the fabric elevation for water run off as further protection. 4″ Thick Foam, SUNBRELLA™ Fabric Cushions, Heavy Duty Zipper for EZ removal. Spot Clean Only.